So this is something really special. In April, for AWP, I got invited by Bao Phi to perform alongside a bunch of my favorite poets at the Equilibrium supershow. Thanks to the Loft Literary Center, you can watch the full show online; the link above is a YouTube playlist of 34 videos. Patricia Smith's headlining set. Again, I'm not trying to be hyperbolic, but Patricia Smith in on a whole other planet poetically. This is the most powerful poetry performance I've ever seen, and is a must-watch for #BlackLivesMatter organizers and advocates. Marcie Rendon with a MN history lesson that got a well-deserved standing ovation. Khary "6 is 9" Jackson with a rare performance of "Limbs," one of my favorite pieces of his. Look at the rest of this lineup: Danez Smith, Ed Bok Lee, Tish Jones, Hieu Minh Nguyen, Marisa Carr, Emmanuel Ortiz, Lorena Duarte, Diego Vázquez Jr, Christy NaMee Eriksen, R. Vincent Moniz, Jr., Rodrigo Sanchez-Chavarria, Juliana Hu Pegues, Leah Lakshmi Piepzna-Samarasinha, David Mura, Electric Gemini Bailey, Shá Cage, Danny Solis, Saymoukda Duangphouxay Vongsay, Robert Karimi, Douglas Kearney, Ka Vang, Nimo H. Farah, Moheb Soliman, IBé, Andrea Jenkins, Tou SaiKo Lee, Frank Sentwali, and Louis “Babalu” Alemayehu. 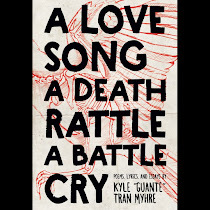 A new recording of my poem "Quicksand" too. I can't stress enough how valuable this playlist is. Channels like Button have done so much when it comes to capturing and documenting 21st century spoken-word, but they can't be everywhere, and a lot of the poets in this playlist don't perform at slams and/or aren't super active on social media. So if you have any interest in spoken-word at all, you owe it to yourself to watch this. 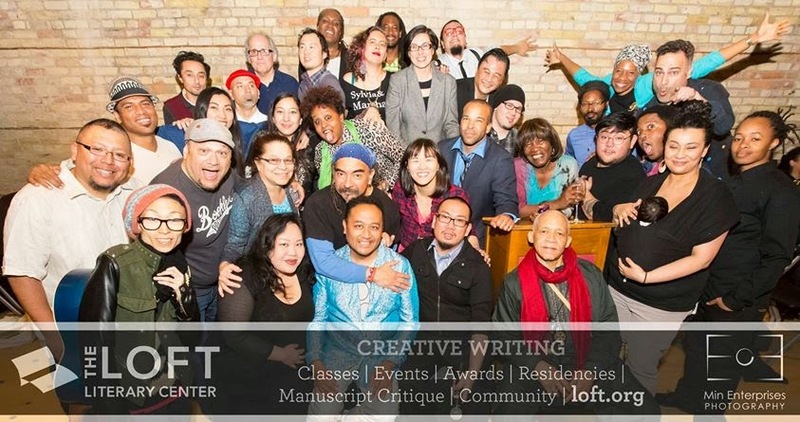 Again, endless thanks to Bao and the Loft for making this happen, and to our whole community for being so brilliant and inspiring.